I have been asked a number of times recently - what it is like to shoot a big equestrian event like The Mitsubishi Badminton Horse Trials? So in the weeks leading up to and at the event itself, I will be posting an extended “Dear Diary” along with some pictures. What I have let myself in for is a big unknown and uncharted water - so we will see how it goes. I also realise that this will probably only be of interest to my non-photographer, equestrian friends. Chapter 1: Planning. I start planning my upcoming year in October, November time. The first draft typically includes events from the previous year I enjoyed doing and the major multi-day sporting events that I hope to cover. Adding these to a spreadsheet and sorting, throws up conflicts - this year Queens Tennis clashes with The Hickstead Derby Meeting, so decisions need to be made and early. With the larger events blocked out, things like football get slotted around in the gaps as the fixture lists become available. 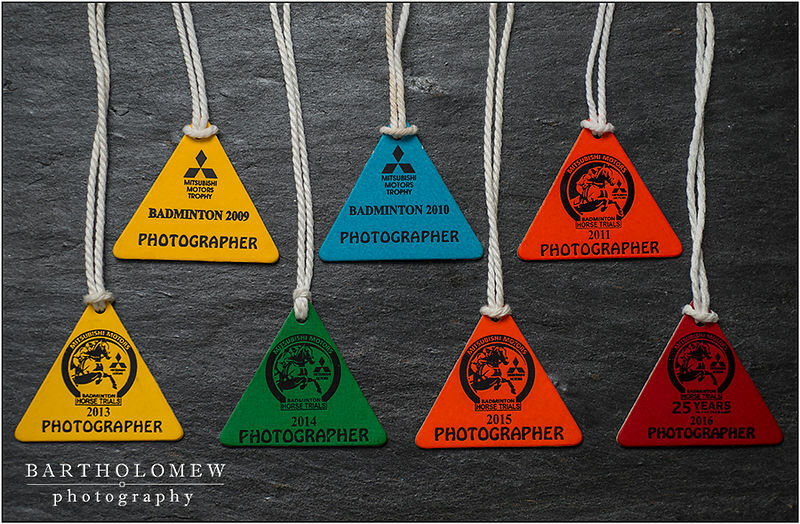 Badminton holds a special place on the calendar for me as it was the first major event I covered for a National Sunday Paper and I can trace my journey in Sports Photography back to that significant point. Badminton Media Accreditation opens in January and applications are made via an on-line system. The system asks such questions as:- Who are you working for? Type of media you are? Publication? Working with a recognised media outlet or having attended before is no guarantee that you will get credentials. With all the boxes completed and with the flick of an enter key it gets fired off into the ether awaiting either an e-mail of rejection or the sound of an A4 envelope dropping on the mat with a Badminton Logo on the front. My confirmation arrived on the 6th April, so detailed planning can now start. April 6th also marked a flurry of Facebook posts from other photographers showing their accreditation letters coupled with sarcastic or cryptic comments, but deep down to let folks know they are happy they made it. This will be my 8th Badminton, 9th if you count the cancellation in 2012, so I have a good idea of how the course runs around the estate and places that are likely to work for me, and those that probably will not. I have a number of ideas for shots not tried before and some from previous years that could be improved or may work this year. The description of the Eric Winter designed course, running clockwise which is not my personal favourite, indicates a nod to the past with “Big Rustic Timber” and “Little Superfluous Decoration”, which I think will influence the style of images from this year’s event. Apart from the main event I will be involved with the team at Voltaire Design UK. Voltaire will be launching a new range of bridles to match their saddles at Badminton and of course have a number of top sponsored riders in the main event. I also have a personal project - “A fashion shoot” which I am looking forward to. I thought it might be interesting to take questions from readers - which I will try to offer an honest answer or at least an opinion. You can post your questions either on my Facebook page or the Voltaire Design UK page. So to start, the second most frequently asked question. What photographers have influenced you? Very difficult to answer this one without putting in some context. I am lucky enough to work alongside some great sports photographers who turn out great shots week in, week out and from whom I have learnt a lot - so I hope none will be offended by not being included on the following list. Great Photographers - David Bailey, Brian Duffy, Terrance Donovan who changed so much in and of their time, Joe McNally and David A Williams who are true masters of the profession. Of the sports photographers, Bob Martin, Leo Mason, Bill Frakes, Dave Black and Robert Beck stand out. Equestrian photographers, Gabriele Boiselle, Peter Nixon, Trevor Meeks and Jon Stroud. I am very keen on the work of the staff photographers at Time Life, Margaret Bourke-White, Alfred Eisenstaedt, W. Eugene Smith and so many others.